The Old Testament often refers to priests accompanying troops into battle. "And it shall be when ye are come nigh unto the battle," states the Pentateuch, Deuteronomy 20:2-4, "that the priest shall approach and speak unto the people." Another well-known example is found in Joshua 6:2-5. In this passage, seven priests, each carrying a ram's horn, march around the walls of Jericho daily for six days. They are followed by other priests carrying the Ark of the Covenant and finally the troops. 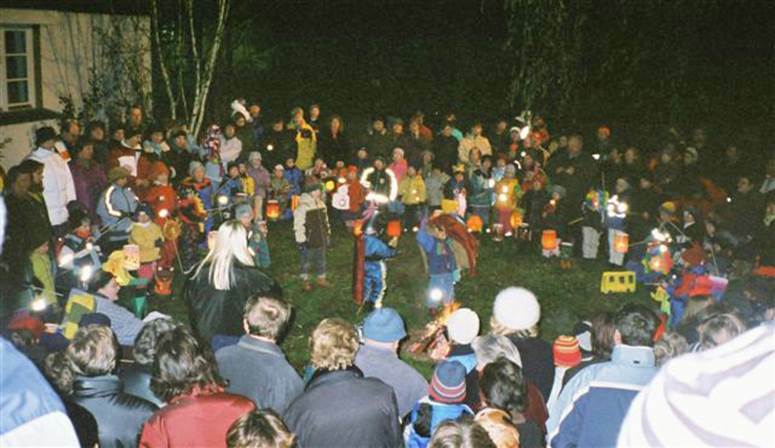 On the seventh day, the procession marched around the city seven times while the priests blew the horns. After the sound of the horns, the troops shouted, whereupon the walls collapsed and the city was taken. Megiddo (1479 BCE) is one of the earliest great battles of which we have detailed knowledge. There, the Egyptian army of the warrior Pharaoh Thutmose III defeated a Syrian force. Egyptian records describe Thutmose in religious terms as he led the final charge, "like Horus armed with talons." One modern writer, Thomas Mann, envisioned the exalted high priest of Atum-Re at the battle wearing the "priestly leopard skin...draped around his shoulders, with the head and forepaws hanging down his back, the hind-paws crossed on his breast...(with) other insignia of his state: a blue scarf, and a complicated gold ornament with rams heads...." Incidentally, many scholars believe Israel's Exodus occurred during the reign of Amenhotep II (1450-1420 BCE), which would make Tuthmose III the great oppressor of Israel. For the Romans the presence of a priest before each battle was vital. Sacred animals had to be killed ritually. Then, their livers were removed and read by the priests for favorable or unfavorable omens. In Imperial Rome the priests proclaimed war upon the advice of the Senate. Thus every war declared was both just and holy. A fourth century legend held that a pagan Roman soldier called Martin of Tours encountered a beggar shivering from the cold and gave him part of his military cloak. That night he had a vision of Christ dressed in the cloak. As a result, Martin was converted to Christianity. He devoted his life to the church, and after his death was canonized. Martin of Tours later became the patron saint of France and his cloak, now a holy relic, was carried into battle by the Frankish kings. This cloak was called in Latin the "cappa." Its portable shrine was called the "capella" and its caretaker priest, the "cappellanus." Eventually, all clergy affiliated with military were called "capellani," or in French "chapelains," hence chaplains. The modern chaplaincy's roots are essentially medieval Catholic in origin. The Council of Ratisbon (742 CE, modern-day Regensburg, Germany) first officially authorized the use of chaplains for armies, but prohibited "the servants of God" from bearing arms or fighting. By the time of the Reformation in the 16th century, the chaplain's duty was defined "to have 'care of souls,' and it is well if he meddle with no other business, but make that his only care." The want of a chaplain does, I humbly conceive, reflect dishonor upon the regiment, as all other officers are allowed. The gentlemen of the corps are sensible to this, and did propose to support one at their private expense. But I think it would have a more graceful appearance were he appointed as others are. The Honorable Continental Congress having been pleased to allow a Chaplain to each Regiment, with the pay of Thirty-Three Dollars and one third dollars pr month - The Colonels or commanding officers of each regiment are directed to procure Chaplains accordingly; persons of good Characters and exemplary lives - To see that all inferior officers and soldiers pay them a suitable respect and attend carefully upon religious exercises. The blessing and protection of Heaven are at all times necessary but especially so in times of public distress and danger -The General hopes and trusts, that every officer and man, will endeavor so to live, and act as becomes a Christian Soldier defending the dearest Rights and Liberties of his country. Since that time, U.S. Military Chaplains have served honorably in every war and major combat engagement in which the United States has participated. Compiled by William J. Hourihan, Ph.D. The Army Chaplaincy is the oldest of the American military chaplaincies, and predated the Declaration of Independence by almost a year. The Second Continental Congress authorized Chaplains for the Army on 29 July 1775. 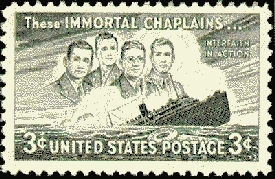 The same Congress authorized Chaplains in the Navy on 28 November 1775. The Air Force Chaplain Service came into existence on 26 July 1949. 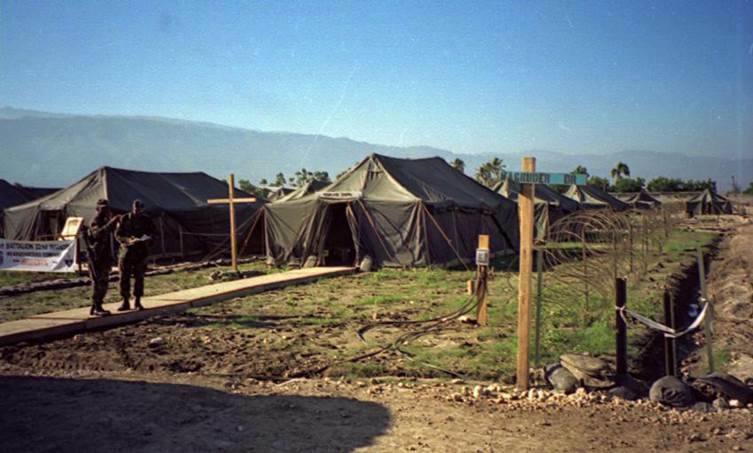 The Army Chaplain Corps comprises the largest military chaplaincy in the world. As of January 2002, there were 1280 active duty chaplains, 557 USAR/AGR chaplains and 599 ARNG chaplains on duty. Assisting these 2,436 chaplains were 2,550 chaplain assistants in the active and reserve components. 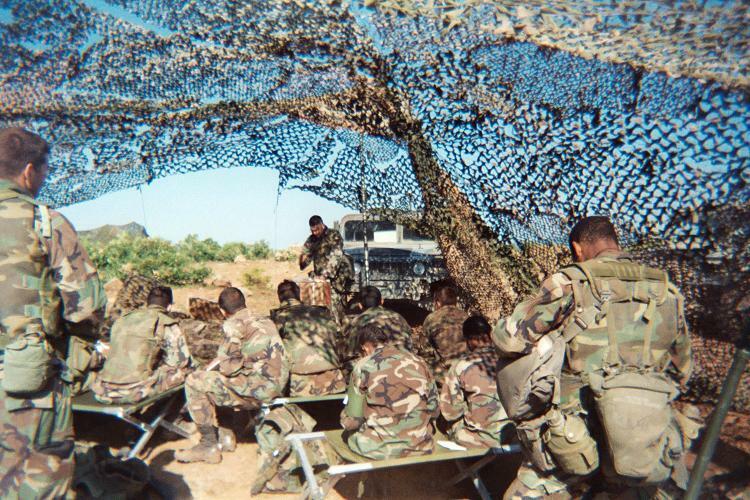 Chaplains have traditionally provided noteworthy leadership for the government and for their religious denominations after their military service. One chaplain, Andrew Hunter, who served in both the American Revolution and the War of 1812, became one of the founders of the U.S. Naval Academy; another, Abraham Baldwin, was a signer of the Constitution of the United States. Chaplain Edward Neill was a private secretary to Presidents Abraham Lincoln and Andrew Johnson and later U.S. Consul to Dublin. Chaplain William Pile became Governor of New Mexico, a U.S. Congressman, and later minister to Venezuela. Dr. Isaac Tichenor was a college president in Alabama and later Secretary of the Baptist Home Mission Board in Atlanta. He was credited with helping to organize 10,000 churches in his lifetime. Hundreds have served as denominational officials or as college presidents after their military service. 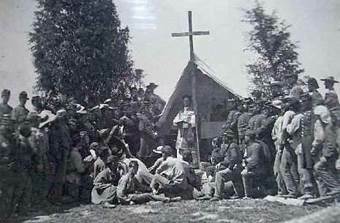 Among the colleges and universities headed at sometime by former Army chaplains are: Yale, Randolph-Macon, Auburn, Emory, Notre Dame, the University of Georgia, Illinois State University, Gettysburg Seminary, and Fisk University. 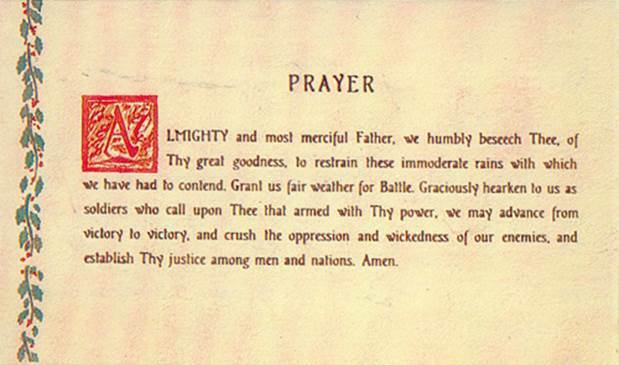 Army Chaplain (COL) James O'Neill's weather prayer at the Bulge, as ordered by GEN Patton, Dec. 22, 1944. A miraculous 5-day break of clear weather followed, which permitted the Allied forces to take maximum advantage of their air superiority. This tremendously successful air support effort was one of the key factors that led to the German failure to attain its major objectives in the Battle of the Bulge. Almost fourteen per cent of all Army chaplains since the Civil War have received battlefield decorations. 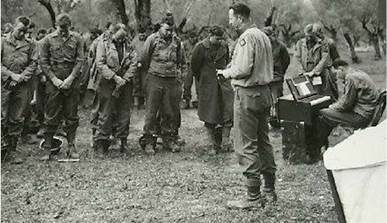 More than 25,000 chaplains have served since 1775 in 36 wars and 242 major combat engagements. From 1861 though 1975, six were awarded the Medal of Honor. More than 3,400 other chaplains received combat decorations including 27 Distinguished Service Crosses, 44 Silver Stars, 67 Legions of Merit, 719 Bronze Stars, and 109 Purple Hearts. Civilian clergy cannot do what chaplains do and cannot be forced into combat. This was tried in Vietnam and failed. Logistics and maneuver failed for civilians. They are not covered under the Geneva Conventions. It was the evening of Feb. 2, 1943, and the U.S.A.T. Dorchester was crowded to capacity, carrying 902 servicemen, merchant seamen and civilian workers across the icy Atlantic. German U-boats were constantly prowling these vital sea lanes, and several ships had already been blasted and sunk. On Feb. 3, at 12:55 a.m., German submarine U-223 spotted the Dorchester and fired. The hit was decisive--and deadly--striking the starboard side, amid ship, far below the water line. Panic and chaos had set in. The blast had killed scores of men and many more were seriously wounded. Men jumped from the ship into lifeboats, over-crowding them to the point of capsizing, according to eyewitnesses. Other rafts, tossed into the Atlantic, drifted away before soldiers could get in them. Through the pandemonium, according to those present, four Army chaplains brought hope in despair and light in darkness. Those chaplains were Lt. George L. Fox, Methodist; Lt. Alexander D. Goode, Jewish; Lt. John P. Washington, Roman Catholic; and Lt. Clark V. Poling, Dutch Reformed. Most of the men were topside, and the chaplains opened a storage locker and began distributing life jackets. It was then that Engineer Grady Clark witnessed an astonishing sight. 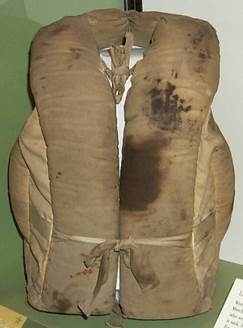 When there were no more life jackets in the storage room, the chaplains removed theirs and gave them to four frightened young men. As the ship went down, survivors in nearby rafts could see the four chaplains--arms linked and braced against the slanting deck. Their voices could also be heard offering prayers. 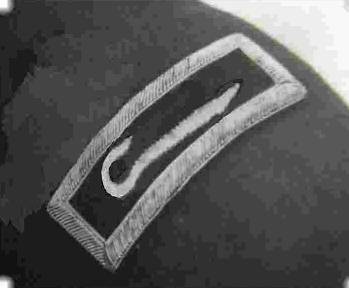 The first authorized insignia for chaplains (13 Feb. 1880 to 5 May 1888) was the shepherd's crook of embroidered frosted silver bullion in center of black velvet shoulder straps as stated in General Order Number 10. This would either be appropriate on the frock coat or undress uniform. In 1898, the crook was replaced with a plain Latin cross of silver on dark-blue shoulder straps.